Obama's Unofficial Ambassador To The Middle Class — V.P. Biden — Hits Ohio : It's All Politics On Thursday, Vice President Joe Biden will give the first in a series of campaign speeches designed to frame the debate for the November election. He's speaking in Ohio, where the Obama campaign notes that 120,000 people are directly employed by the auto industry. Vice President Joe Biden poses with an uncooperative baby at a speech in Tallahassee, Fla., on Feb. 6. On Thursday, he's in Ohio to begin a series of speeches aimed at framing the presidential race. Vice President Joe Biden wears a lot of different hats in the Obama administration. He's a longtime Senate insider who can negotiate with Republican Senate leader Mitch McConnell. He's a foreign policy veteran who helped to lead the transition in Iraq. And one other thing to keep in mind, whenever there's idle political gossip about replacing Biden on the ticket with Hillary Cinton: He serves as a kind of White House ambassador to the middle class. On Thursday, Biden will give the first in a series of campaign speeches designed to frame the debate for the November election. He's speaking at a union hall in Ohio. Biden will talk about what the auto rescue means for the state and its industrial workforce. He'll be introduced by Shelly Whitson, who has worked at the Jeep plant in Toledo for almost 30 years. "It really is an honor for me to meet Joe Biden. I mean, excuse me, Vice President Joe Biden," she says, chuckling. It's that familiarity that the White House is banking on. 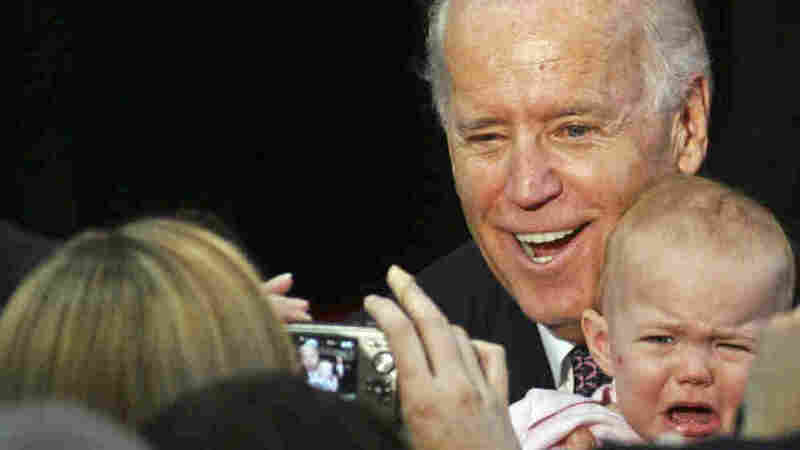 Even though he's the vice president, for a lot of voters like Whitson, Biden is just Joe. "He seems to be just a down-to-earth guy, like he's one of us. You kind of think of him that way — one of the kind of guys you could have a beer with," she says. Nevermind that Biden is a teetotaler. His everyman persona and glad-handing style help the vice president connect to white, working-class voters in a way that President Obama does not. The Democratic ticket fared poorly with these voters four years ago. So Biden will be on the road a lot this year, trying to hold the line in swing states like Ohio, Pennsylvania and New Hampshire. Biden played the same role in 2008, says political scientist Paul Beck of Ohio State University. "He was much better at working the union hall — not that President Obama at the time was bad at doing that, but Biden really connected with union workers, with blue-collar workers, with, you know, just kind of average middle-class voters," says Beck. Biden told a campaign crowd in New Hampshire last month that he has worn that middle-class label proudly throughout his political career. "Initially, in the '70s, when I got to the Senate and I was a 'middle-class' guy, it was really a polite way of saying, 'He ain't very sophisticated,' " Biden said. "That's what it is. Most people when they talk to you about being 'middle-class,' they think that somehow you're kind of pedestrian. I am middle-class. It didn't take me long to figure out who I was or where I came from." Even though Biden earned a six-figure income as a senator, he routinely ranked last in the chamber in personal wealth. He notes that he borrowed against his house to help put his children through college. Biden peppers his speeches with homespun stories about his parents' wisdom and worries. And when he misspeaks, which he does with some regularity, the embarrassment doesn't seem to last long. "No one has ever accused me of saying anything I didn't mean. They pointed out, though, I tend to say all that I mean. That's sometimes a problem. Sometimes a problem," he says. The president once joked that he was going to try to go off the teleprompter more often, while trying to get Biden to stay on it. The vice president can be long-winded. But in summing up the administration's case for re-election, he is bumper-sticker brief. "When anybody asks you about us, Osama bin Laden is dead, and General Motors is alive," he says. Thursday's speech focuses on the second half of that argument. The campaign notes that 120,000 people in Ohio are directly employed by the auto industry. Many more have benefited indirectly from the recovery of GM and Chrysler, says political scientist Beck. "It would have been devastating to the Ohio economy had any one of the Detroit automakers gone under as a result of a failure to support them in the rescue attempts," he says. Shelly Whitson, the Jeep plant worker, sees the automakers' turnaround in more personal terms. She recalls the two months she was laid off before Chrysler emerged from bankruptcy. "When you have to start thinking of calling unemployment, and that you might not have a job, that's one of the scariest feelings — to think that you might lose everything you've worked for for 29 years," she says. Three years later, Whitson is working six days a week to keep up with demand for the popular Jeep Wrangler. She's happy with the overtime. And while polls suggest the auto rescue is still controversial, Whitson says a lot of people in Toledo are sold. "This town depends on us. The stores, the little grocery stores, the bars, the restaurants — they're glad to see us working. Believe me," Whitson says. And that's exactly the message the vice president hopes to send to middle-class voters in Ohio and other swing states around the country.